Due to the elevation changes between campsites, the Rockwall Trail is one of the harder multi-day hikes in the Canadian Rockies. In 2003 it was devastated in one of the most widespread forest fires in the Canadian Rockies. On July 31st 2003, a lightning strike started a fire that would end up covering over 17,000 hectares. The government estimated that the burn cost approximately 1 billion dollars of damage. However not all was lost. The destruction of the blaze is doing wonders for the ecology in the area today. 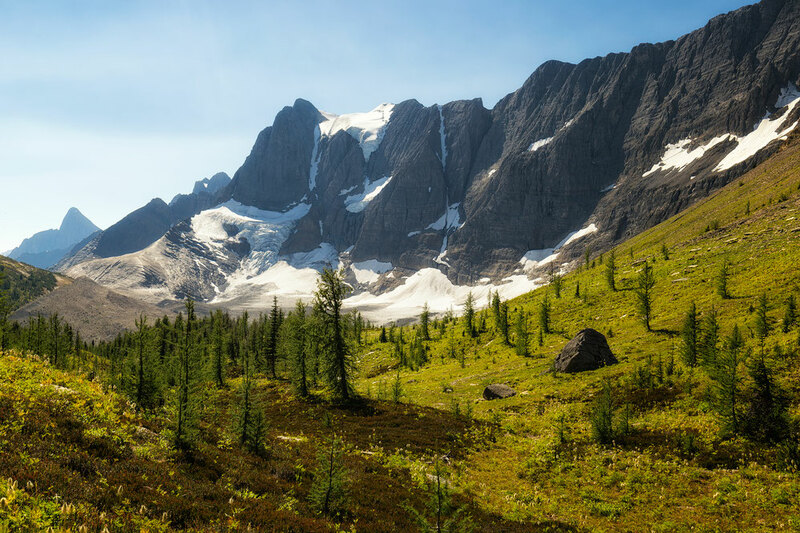 Parks Canada predict the affected area will be prime grizzly bear habitat from 2018 onwards as the resurgence of nourishing new life will be impossible for bears and other wildlife to ignore. 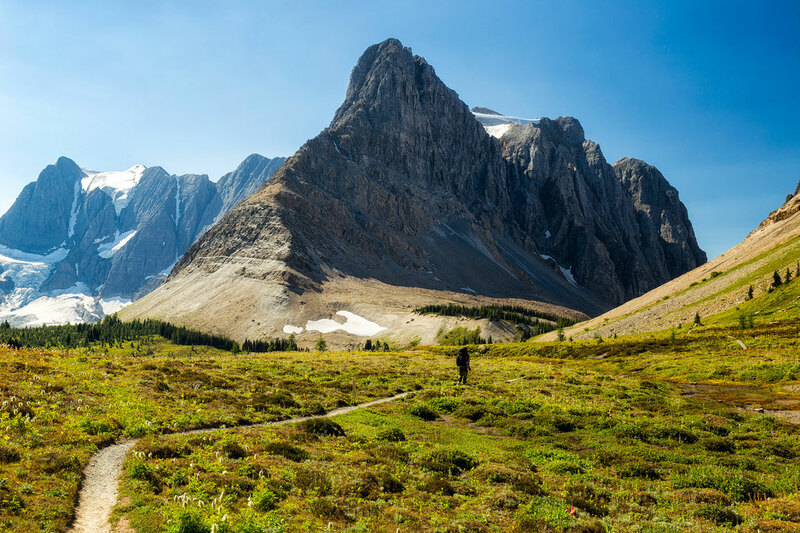 The Rockwall is a 54 km relocation hike that starts and finishes on Highway 93, the Banff-Windermere Highway. The trail includes several waterfalls, numerous creeks, many glaciers, alpine lakes and of course the famous Rockwall itself. 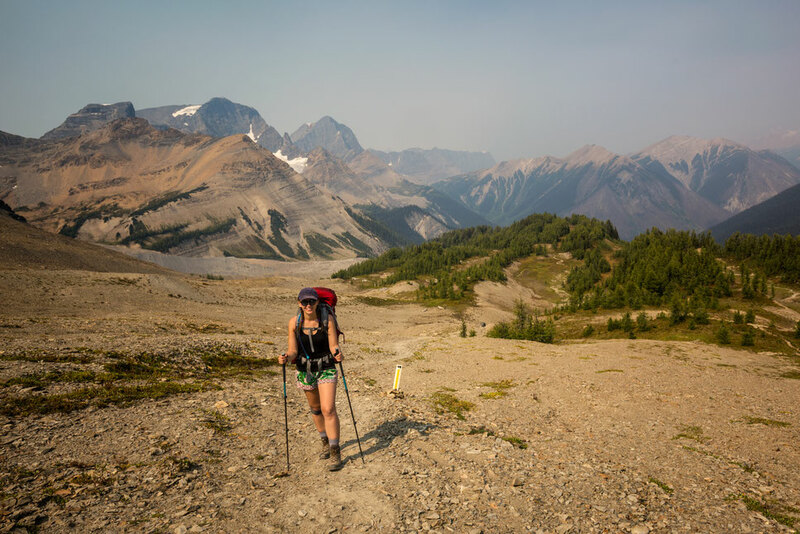 Although it's longer than many other backcountry trips around Canadian Rockies, it manages to encompass so much. If you're looking for a challenge, you are in the right place. In every other guide I've come across it's been said you should go South to North , starting at the Floe lake trailhead and finishing at the Point Pots. I'm going to convince you otherwise. The advantages from going the other way, that is North to South, are numerous and substantial and I've listed them all below! If you start at Paint Pots Trailhead your first day hiking to the Helmet Falls Campground will be easy. You will only gain 285 meters of elevation over 15km. It's better to take it easy on the first day when your backpacks is the heaviest. 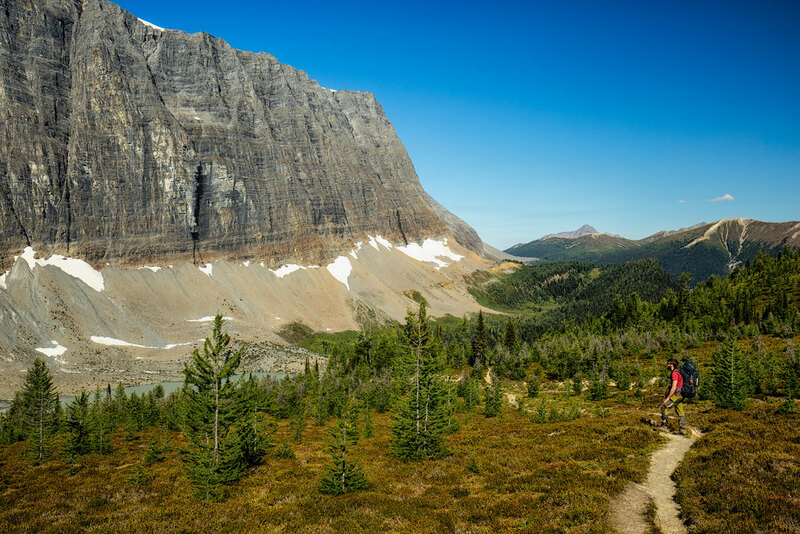 To compare it, if you start at Floe lake trailhead the elevation gain is 700 meters on a very exposed and in some parts very steep terrain! Walking from North to South means that you will be hiking up the mountain passes in trees, then walking down on mostly exposed terrain. During hot summer days being amongst the trees when tackling the passes is a blessing. You will have the views in front of you for the entirety of the hike. That's what you are doing it for, right? You will do less elevation gain. Paint Pots trailhead is 135 metres higher than Floe Lake. 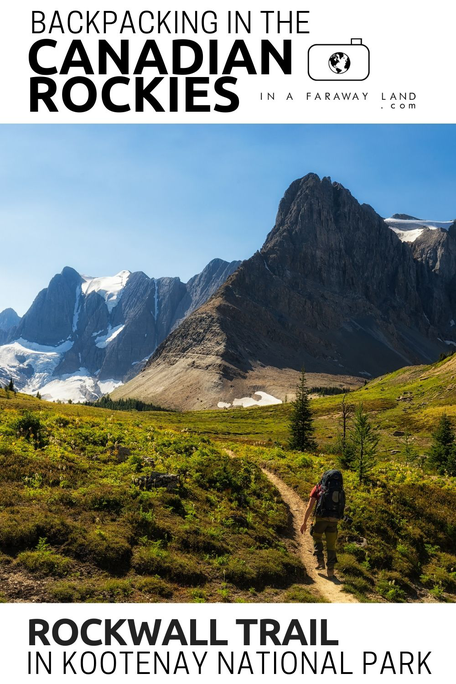 You will spend your last night at the best campsite near Floe Lake, and your last day will be downhill or mostly flat walk. After walking for 3 days you will be very happy about this! To put it in short: start at the Paint Pots and finish at the Floe Lake Trailhead! I'm sure you could charter a taxi to pick you up from one trailhead and drop you off at the other but I wouldn't want to know the cost. Presumably a few hundred dollars minimum. Realistically, there are two possibilities. 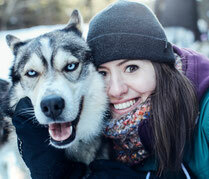 One is to make friends with other people at the trailhead who just finished the hike. The other is to hitchhike. The biggest piece of advice I can give you is to do the relocation before you start the hike. That way, when you finish, you can get straight into your vehicle and drive off without the worry of having to find a lift when you're smelly, have no energy, and just want a decent meal. The distance between the trailheads is 13km (8mi) or a 10 minute drive. The biggest mistake I see from most hitchhikers is not looking friendly enough. Remember to smile and look happy. It took me less than a minute to find a ride! Starting on a weekend did help as the traffic was higher. Bookings for the Rockwall Trail can be made 3 months in advance. 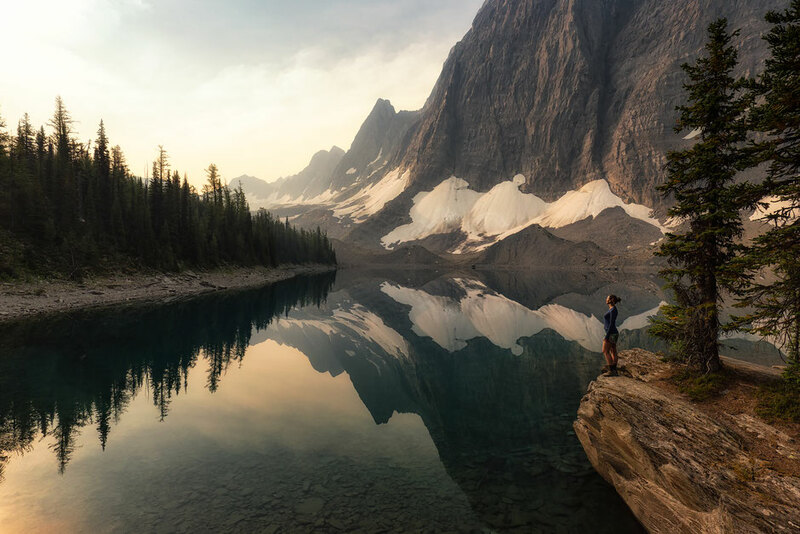 The reservations are not as sought after as, for example, Lake O'Hara, but calling when the phone lines open can be a sure way to avoid disappointment. Especially if you're trying to make reservations for the peak period of July and August. Reservations are mandatory all summer long. 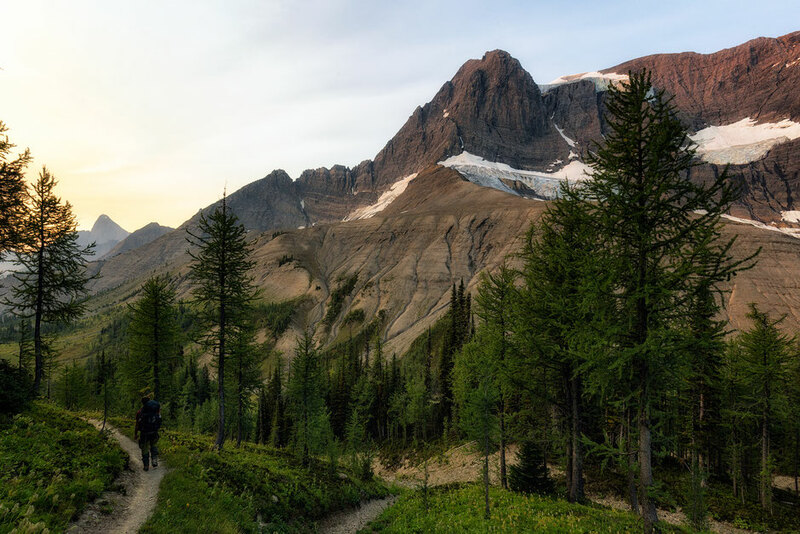 There is a lot of Larch trees everywhere along the trail and whilst hiking it I thought to myself quite often, how awesome would it be to do this hike in late September! The cost is 9.80$ per person per night plus an 11.70$ reservation fee. 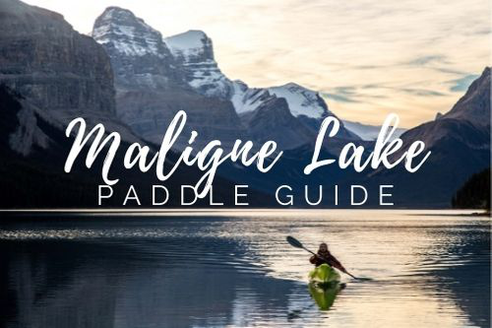 Campgrounds can be booked by calling either the Lake Louise Visitor Centre (+1-403-522-3833) from March 1st until the middle of May or the Kootenay Visitor Centre (+1-250-347-9505) from the middle of May until the start of October. Which campsites should I reserve on the Rockwall Trail? Unless you're superhuman, most people decide to do it over 3 nights/4 days. If you have the luxury of time or that still seems too challenging then consider doing 4 nights/5 days. From the Paint Pots Trailhead the campsites I recommend booking are: Helmet Falls, Numa Creek and Floe Lake. If you want to add an extra day to make it a 4 nights/5 day it would be in between Helmet and Numa at a campsite called Tumbling Creek. All campsites on the Rockwall Trail have access to non drinking water, cooking areas, outhouses and bear lockers. The first section of the trail is quite flat. After crossing the bridge over the Kootenay River, you'll emerge into wide open areas where ochre, a red substance, can be found in abundance in the ground. The First Nations communities in the area baked and dried ochre so it could be used as a paint for clothes, spiritual ceremonies and tipis (teepees). The multi coloured Paint Pots are quite unique, nothing like I've ever seen before and certainly worth some of your time on the trail. Once you enter the forest that's it for views, apart from a few old avalanche paths, until you get to the Helmet Falls Campground. The easy to follow path undulates slightly around hilly contours. Raspberries can be found in the bushes that line the trail. Helmet Falls is a beautifully located campsite. It's 1km away from the base of the falls which is an extra addition if you're feeling adventurous. Helmet Falls is 300m waterfall tall and one of the highest in Canada! The day begins with the ascent up to the Rockwall Pass (2240m), the first of three major passes on the Rockwall Trail. 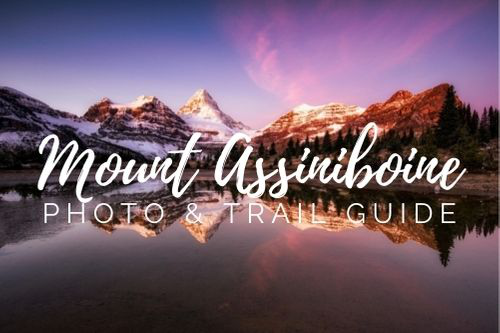 Here the route effortlessly glides through alpine meadows where you'll receive your first glimpses of the famous Rockwall and the hanging glaciers clinging to its face. This is one of several parts that you'll be thankful for walking from north to south as everything is magically placed right in front of you. Soon you'll be at Tumbling Creek Campsite, where you can have lunch. 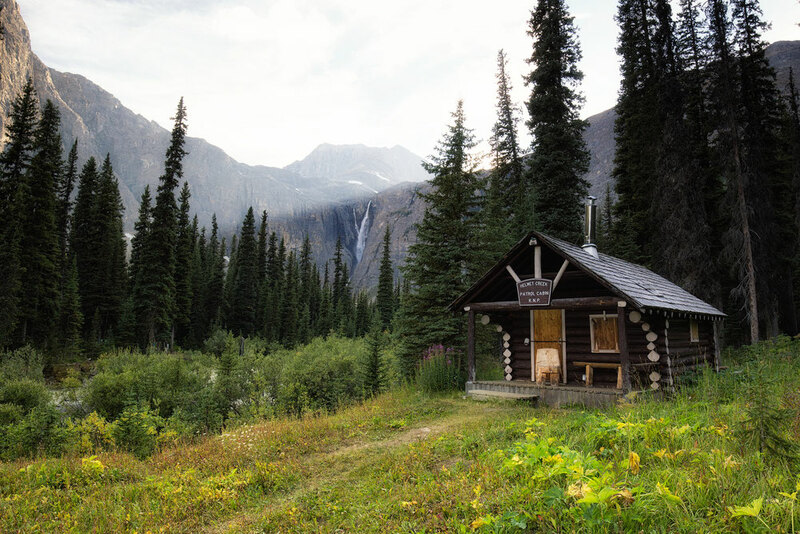 If you are hiking this trail over 5 days this is where you will spend your night. If however you have less time continue toward the Tumbling Pass, the second of the three major passes on the Rockwall trail, from where you can admire several glacial lakes that calmly sit below the hanging glaciers. Certainly one of the most beautiful parts of the entire trail. A quick descent follows via many switchbacks and a couple of shallow creek crossings. After not long, the trail descends to Numa Creek where the overgrown path and nearby berry bushes hide bears exceedingly well. Stay cautious. You've now completed the longest day and can give your knees a rest at the Numa Creek Campsite. Elevation: 475m gain to Rockwall Pass, 350m loss to Tumbling Creek, 320m gain to Tumbling Pass, 715m loss to Numa Creek. The trail is surprisingly flat, Immediately after Numa Creek, before suddenly steep switchbacks transport you through the thick forest. Thankfully, this being your penultimate day your backpack should be a little lighter than at the start. Once you make it to Numa Pass the views are incredible to both the south and the north. Take a look back at the valley, you've just been at the bottom of. You can see the Tumbling Pass in the distance. After you've conquered the Numa Pass it's not too much further to Floe Lake. 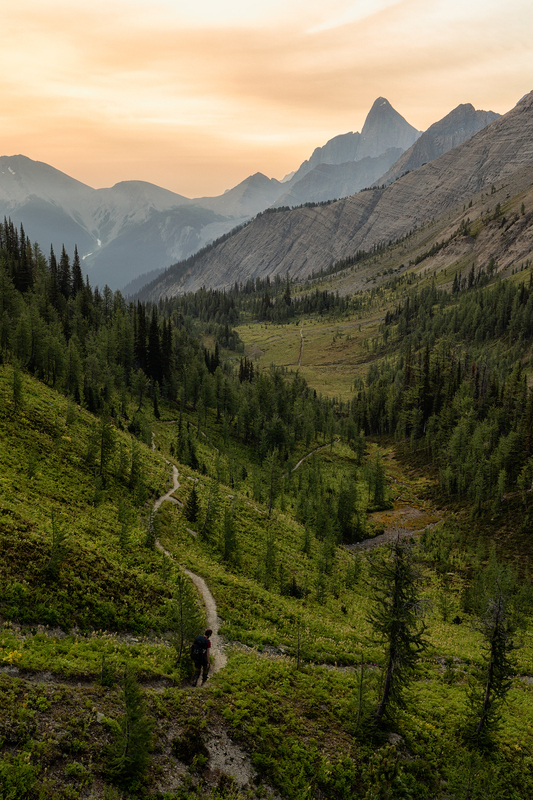 Just a short descent through meadows and sparse forest until you arrive at the most scenic campsite of the entire trail. Many of the pads lie close to the shore. There is an incredible cooking area on a peninsula surrounded by rock beaches and the lake. If you leave early from the Numa creek, you will have the whole day to chill out at the lake! 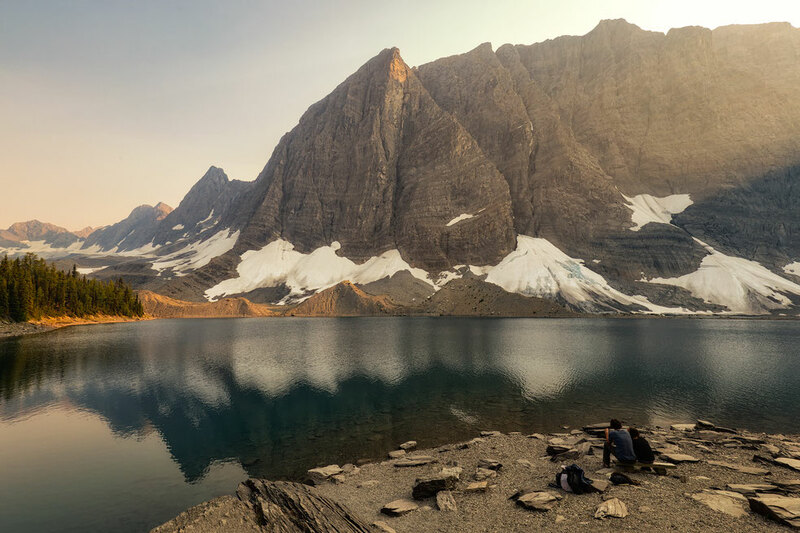 After basking in the magnitude of the Rockwall reflecting in Floe Lake at breakfast, start your last day. The trail switchbacks steeply, quickly losing most of the elevation you'd gained on the previous day. Raspberries can be found here, so can many bears, who are after the same sweet treat. Stay aware and make lots of noise. The trail then enters the old 2003 burn sector, where new plants and trees are following in their forefathers footsteps. 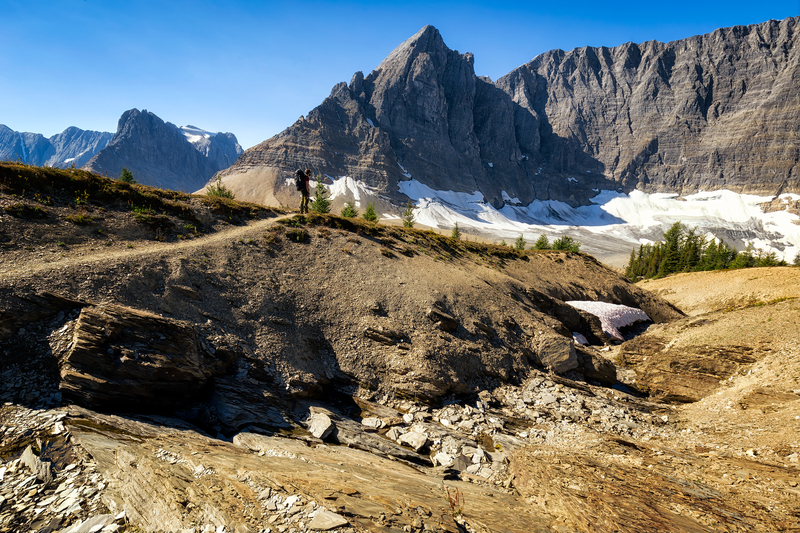 Although the path roughly follows Floe Creek there's only one chance to refill your water, make the most of it. As there's no higher foliage, on a sunny day, there's absolutely no shade. The trail bends and winds along the hilly contours crossing more than one substantial avalanche path. When you cross the bridge at the Vermilion River you're 0.5km from the end. 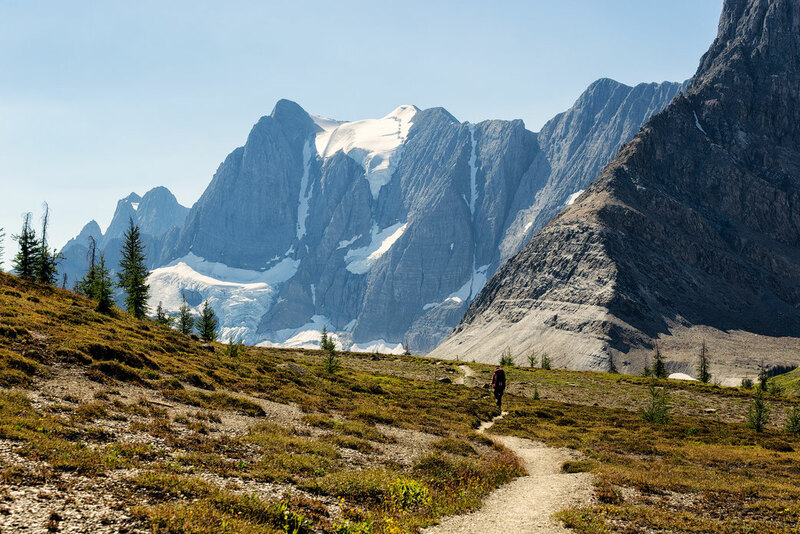 To quickly summarize The Rockwall Trail is a test of endurance, tackling 3 major passes in Kootenay National Park. 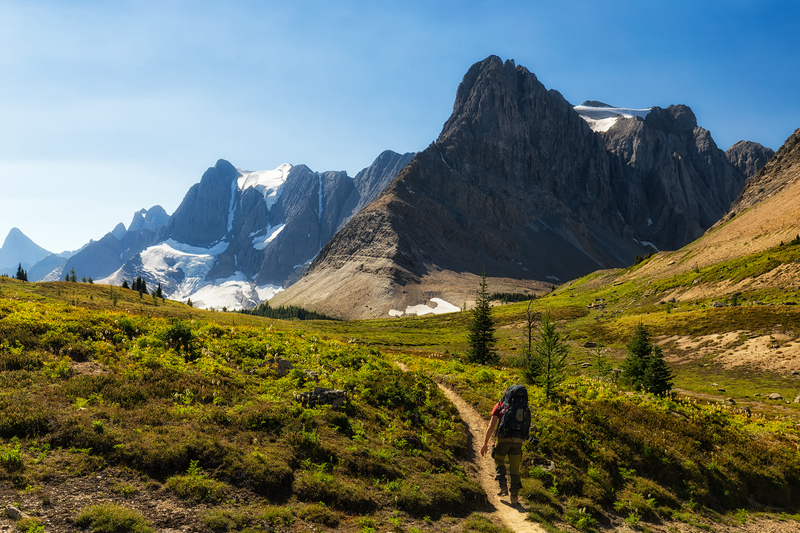 You'll be rewarded with the usual magnificent views of backcountry hiking in Canada: glaciers, lakes, alpine tarns, flowery meadows and mountain vistas. The only difference about the Rockwall Trail though is the impressiveness of the Rockwall itself. The entirety of it is 54 km long! 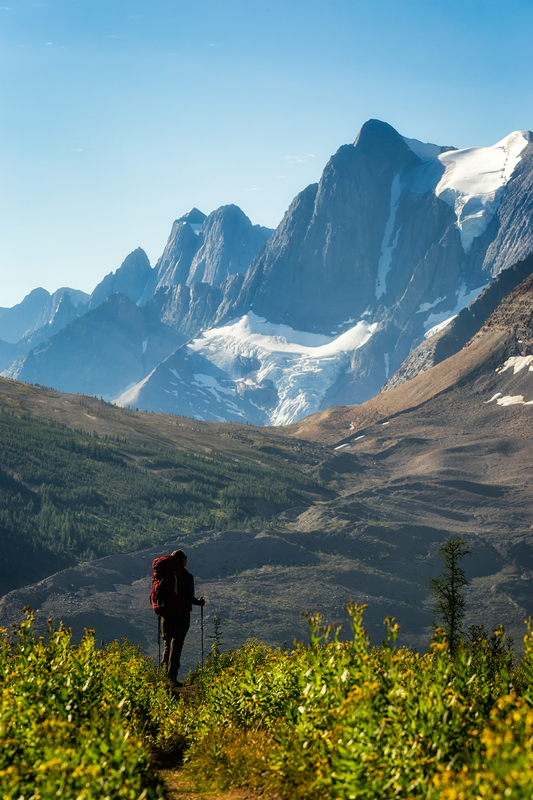 Around 30 km of the trail is right alongside the western face of this phenomenal spectacle of nature. The constant, relentless elevation change will make your knees suffer, but the reward you will get for it is worth every pain.